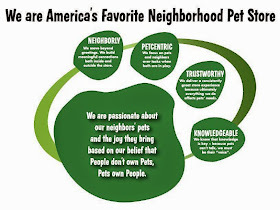 Changing our store layouts can cause havoc for our neighbors, and if we're not careful it can impede us in our mission to make it easier to get better products for their pets! We never want that to happen, even when we're changing things around to ultimately make our products easier to find. 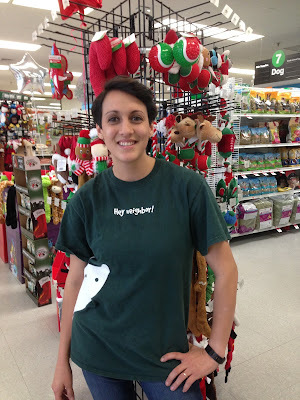 Our neighbor in West Stockton, California, wrote to tell us how a team member helped her navigate the store as it was changed from its original brand to a Pet Supplies Plus store, and how it made all the difference. Cecilia was acting manager and probably still is in the Stockton store. She oversaw the change to Pet Supplies Plus with the intense re-stacking and placement of inventory, while still maintaining an informed and very comfortable engagement with customers. The transformation of the store into a very intuitive, organized place was even fun for those of us who have been customers for well over a decade. Her staff was equally amiable and comfortable, which says loads about her management style. In any case, I would like credit to go to Cecilia!